Chicago Mosaics is a concept design and installation studio creating mosaic art for private homes and commercial spaces. Francine Gourguechon is the owner and lead artist and has been creating custom mosaics and teaching mosaic process and design for years. Francine has taught youth classes at Marwen art school in the city and adult classes at the Chicago Botanical Gardens. She also has and open studio class weekly at her studio on the northside of Chicago. 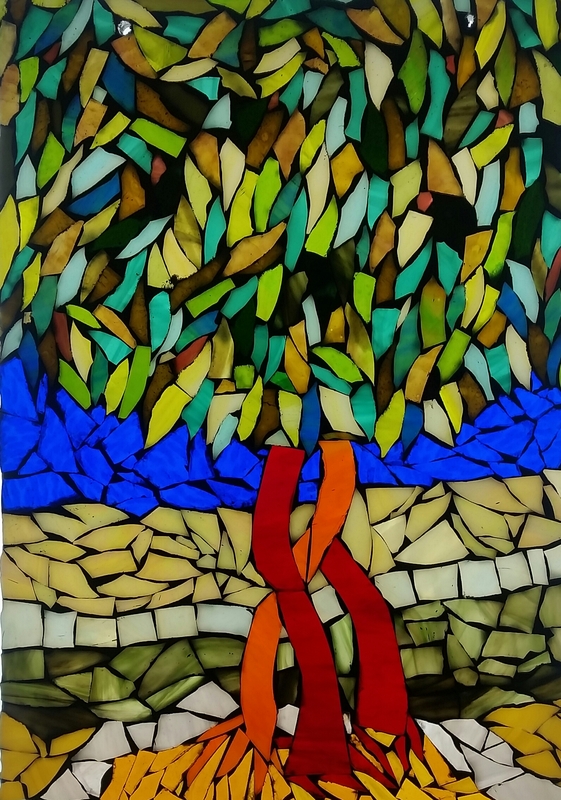 I enjoy the concentrative work of conceptualizing a piece and then working with the luminous glass colors of my mosaic materials to realize the most impactful way to make the piece alive and unique. Teaching other people the craft of mosaics gives me pleasure to share my skill and witness the fun and satisfaction a finished piece give the maker. You can see from some of my photographs how proud my students become. I have been a student of Francine’s for several years. She is not only a wonderful, inspiring artist but seems to bring out the best in each student. There are a variety of glass, tiles to create with and many ideas to get you started. The class I attend is fun with good conversation and music. I have created many gifts for friends and family, a joy. Getting to know the student is an important first step. I ask what kind of art or design they are drawned to..colors, shapes etc. I also like to introduce the student to materials and tools for the mosaic process and show them a finished piece and my website to get them aquainted with the idea of mosaic work. I have been practicing art making most of my life. I attended The School of the Art Institute and several workshops specific to mosaics. I have taught mosaics to youth at Marwen Art School creating interesting progects to work on over the last 5 years. I also teach adults mosaic classes at the Chicago Botanical Gardens and at my studio called Open Studio weekly. 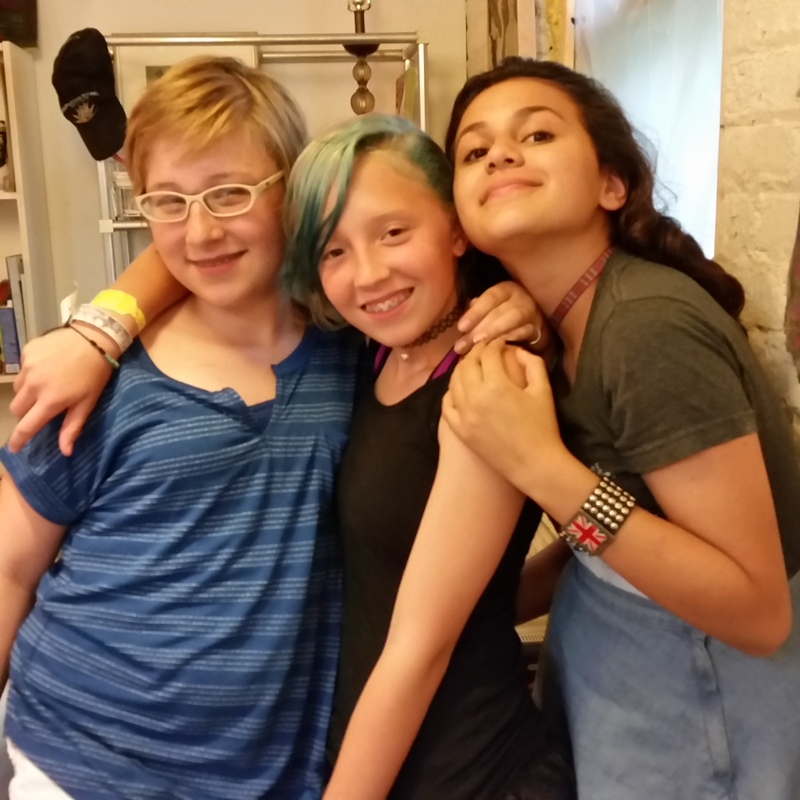 I began teaching at my studio to small groups of insterested adults that has continued for 10 years. I then held mosaic camp for youth in the summer. We had so much fun working and taking breaks in my garden with my dogs. I have also designed mosaic classes for youth at Marwen Art School in Chicago, a fantastic school for Chicago Public School kids. Recently, I have been teaching adult spring classes at the Chicago Botanical Gardens in which we translate Georgia O'Keefe flower paintings into glass mosaic master pieces. All of my teaching experiences have been very rewarding!